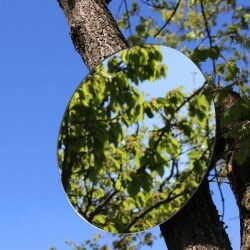 GARDEN MIRRORS To hang the design mirrors to hang are specially created to cling to trees and branches. You can "dress" your best plants to create a unique, spectacular atmosphere and create the deco that reflects you®! 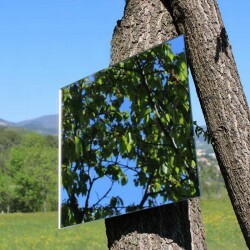 Here, TendanceMiroir® offers a range of acrylic mirrors with different shapes and sizes specially designed to decorate your garden, balcony, patio... Your imagination is your best guide! 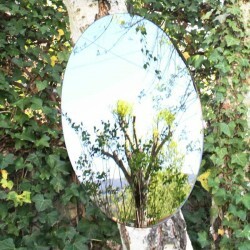 Be bold in your ideas and our mirrors will be there to reflect! With TendanceMiroir®, create the deco that reflects you ®! Garden Mirrors to Hang There are 3 products.